The theme for this luxury sedan is 7. 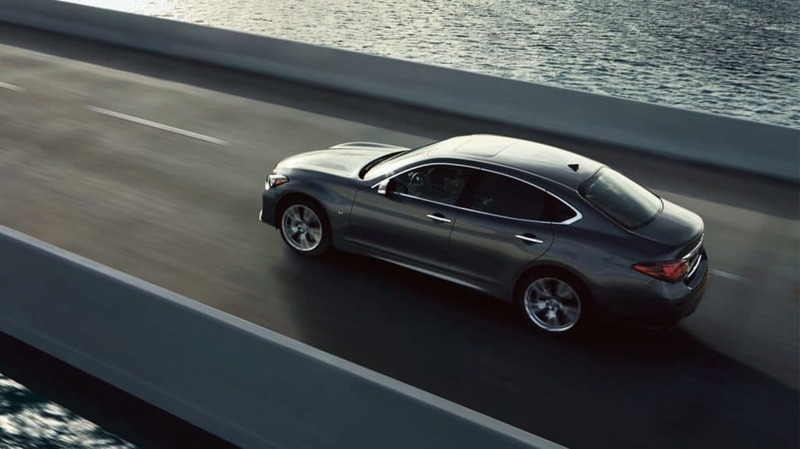 That number not only makes up the nameplate for both the 2019 INFINITI Q70 and 2019 INFINITI Q70L, but it’s also the number of conveniences and comforts that now come standard in each model at our dealership serving Parsippany NJ. Those 7 features are the ones that were included in the former Essential package is now standard. 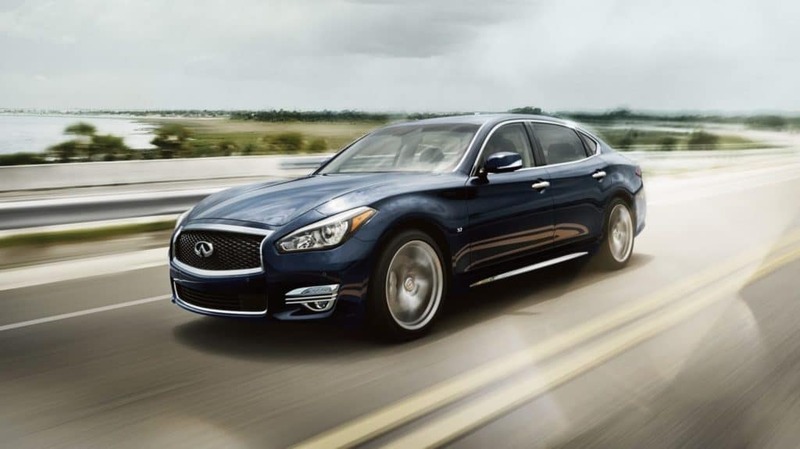 The package was called Essential because you’ll never want to be without these amenities again once you experience having them in your vehicle whether you choose the 2019 INFINITI Q70 or the 2019 INFINITI Q70L that gives you 5.6″ of additional rear seat legroom (41.8″ total) and 5.9″ of extra knee room (32.5″ total). The first feature we’d like to talk about is one that’s great if you enjoy road tripping or even just driving around the Morris County NJ area: INFINITI InTouch™ Navigation with InTouch™ Services. That’s because the navigation system will help you get to any destination you desire without getting lost thanks to updated maps displayed on an 8″ touchscreen. 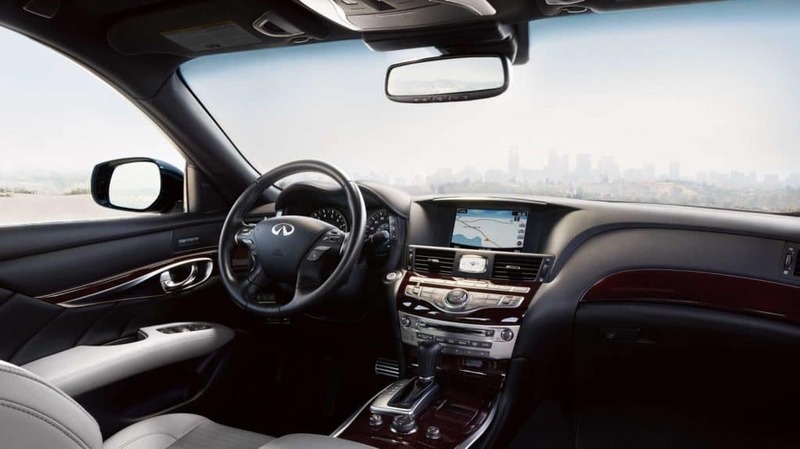 The INFINITI Around View® Monitor has been an upgrade available to the public since 2007. See, there’s that 7 again. Now it comes standard to give you a 360-degree view of what’s surrounding your vehicle to make it easier to parallel park and pull out of parking spots & driveways. Also included is Moving Object Detection, which sees movement on any side of your sedan and will show where the movement is occurring on the touchscreen. 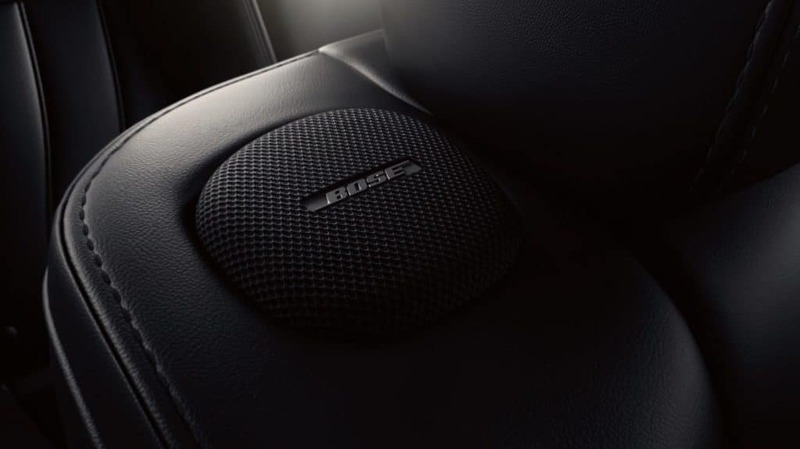 Working in conjunction with the INFINITI Around View® Monitor is the front & rear sonar system. This technology alerts you with a warning chime and a visual on the touchscreen display when it senses that an object is in the vicinity of your vehicle. Either way, you’ll know to be careful on the road. Summers in North New Jersey are warm, especially this summer where we had some very high temperatures already. That’s why we’re so glad that climate-controlled front seats come equipped in the Q70 and Q70L since they offer cooling capability as well as heating capability. Keeping with the climate theme of the last feature, the steering wheel is also heated to ensure that your hands stay warm even the coldest of winter days that North Jersey also has plenty of! It’s also wrapped in leather, so it’s soft on your hands. 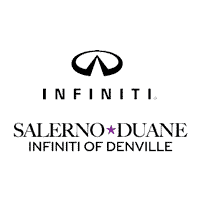 Salerno Duane INFINITI of Denville will help you find the right 2019 INFINITI Q70 or 2019 INFINITI Q70L at our dealership serving Morristown NJ. Contact our team to schedule your test drive today!